To Anil the highlight of our trip to Big Island was the night swim with Manta Rays. To me it was seeing an active volcano. 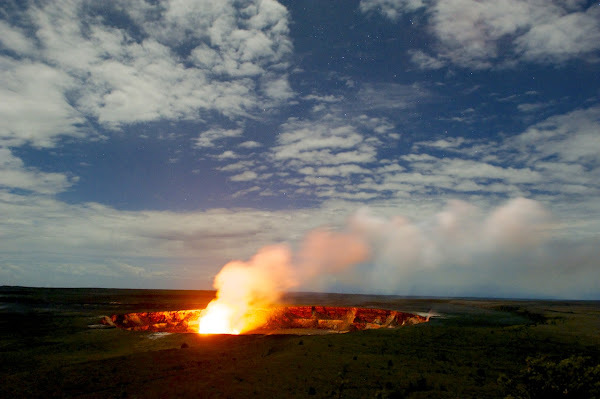 The most active volcano on Earth, in fact, Kilauea, which current eruption has started over 30 years ago, in January of 1983. 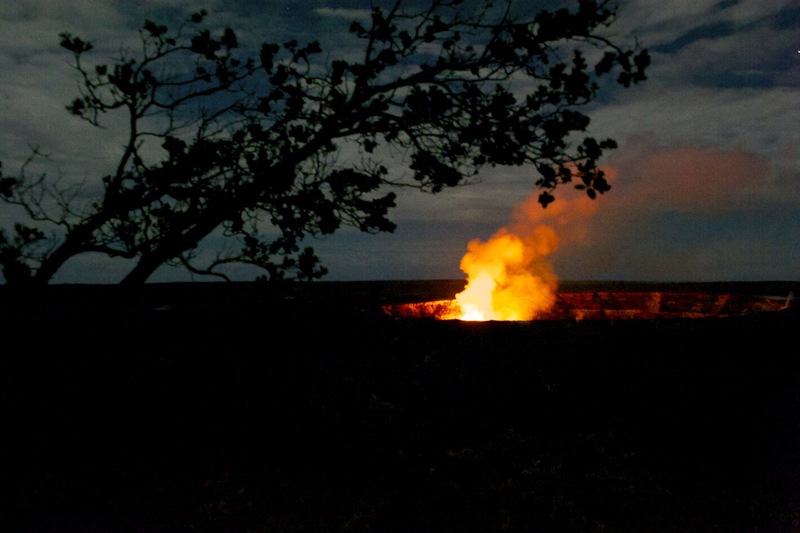 During the day, when the sun is high above the horizon, the volcano doesn't look very impressive or scary. Then it's simply a giant hole with a bit of white fume coming out of it. 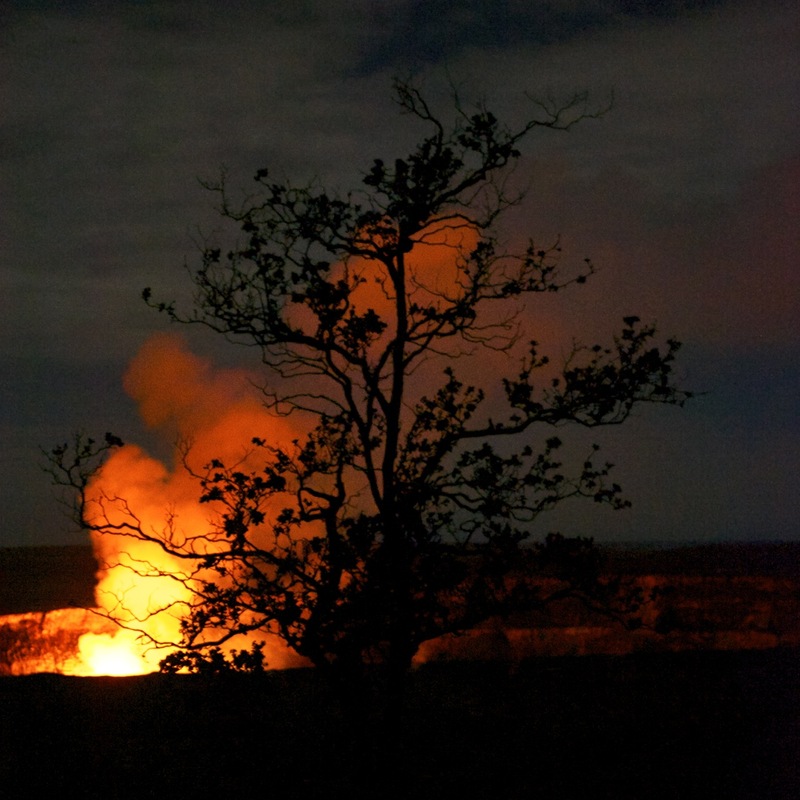 It's during the night when the volcano starts to look both imposing and magical at the same time. 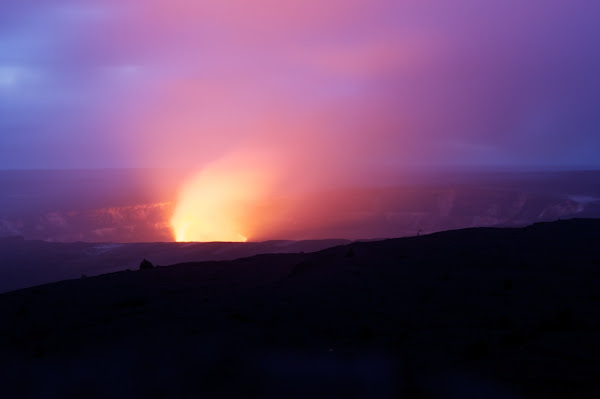 I was almost hypnotized by its radiant beauty, and despite the cold of the evening and occasional rain, I felt the red warmth of the volcano working its way through my body to keep me warm, engaged, and happy.